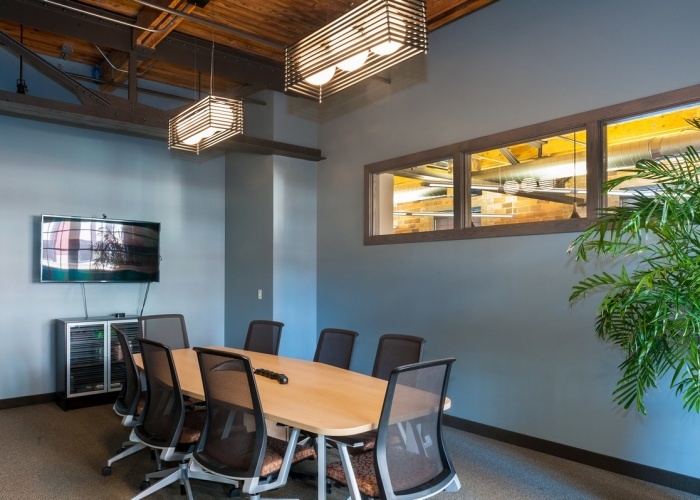 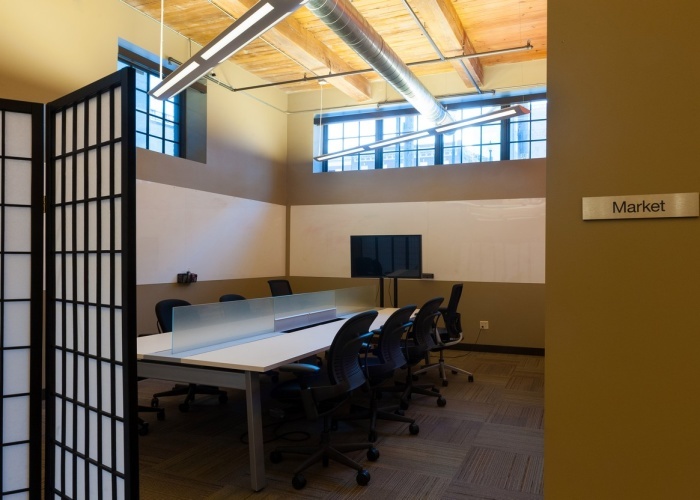 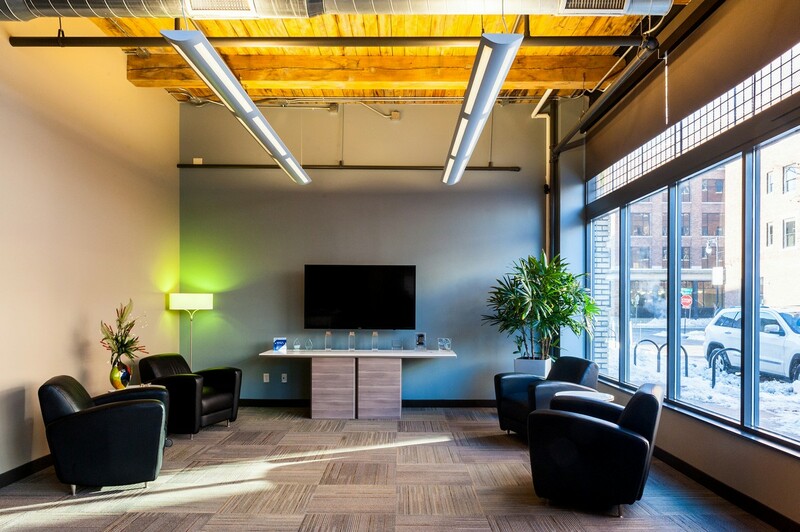 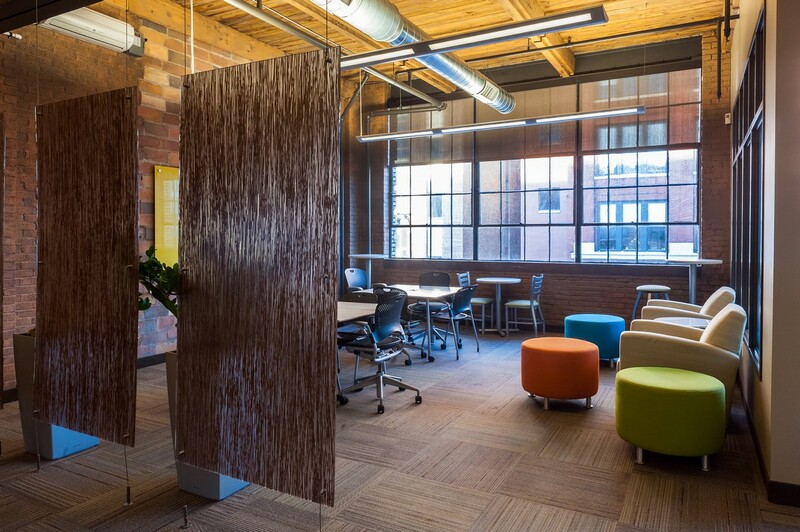 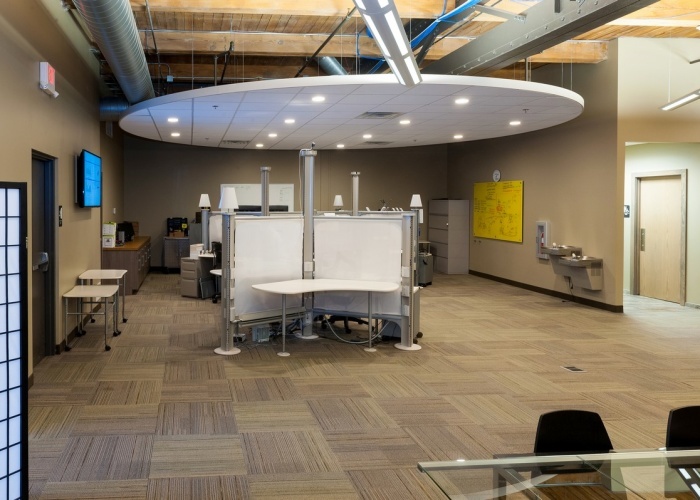 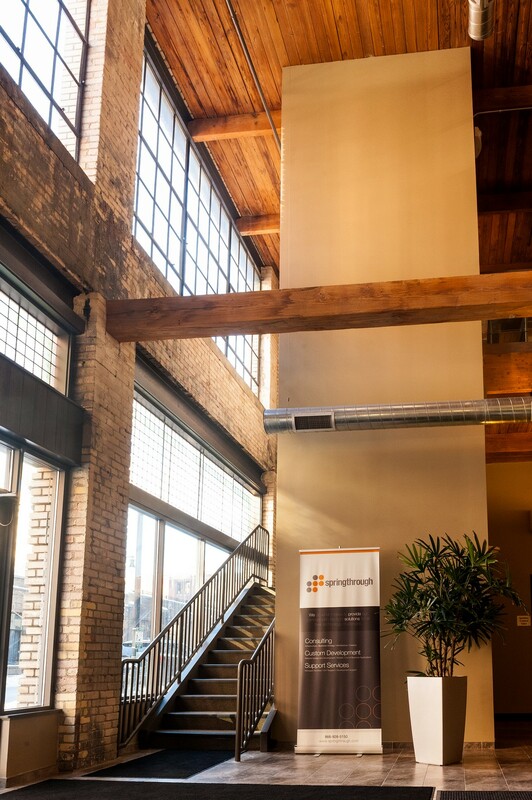 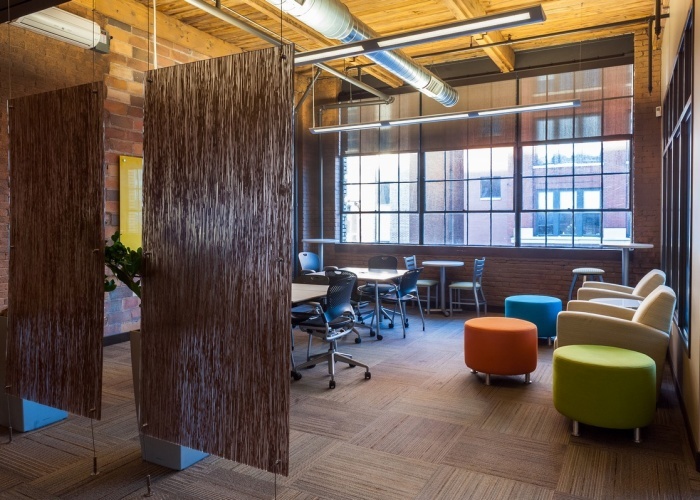 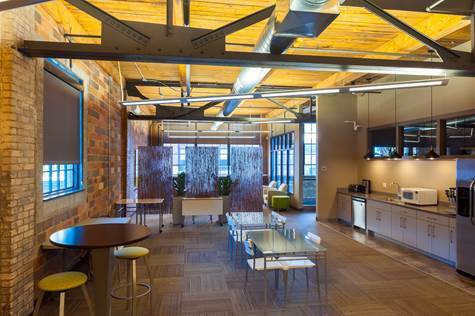 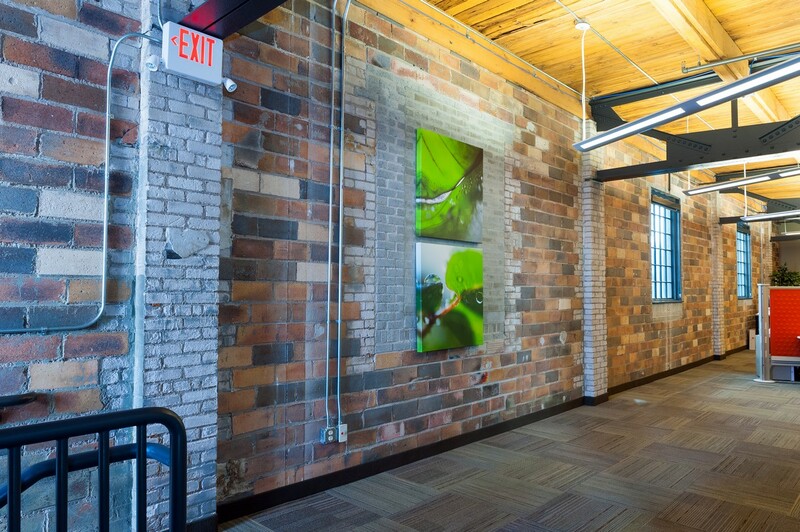 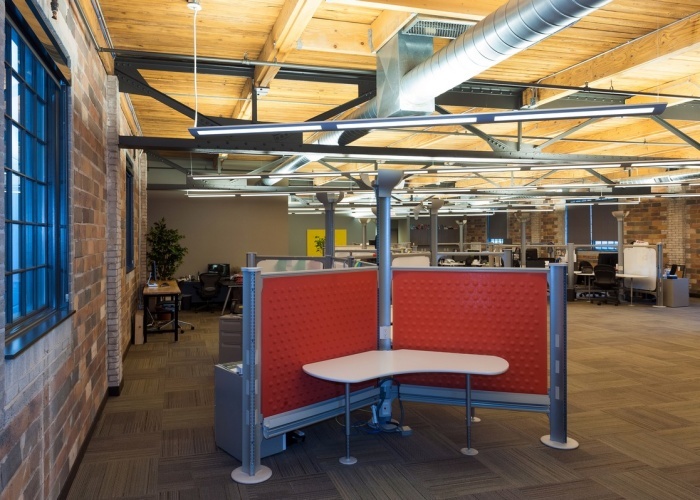 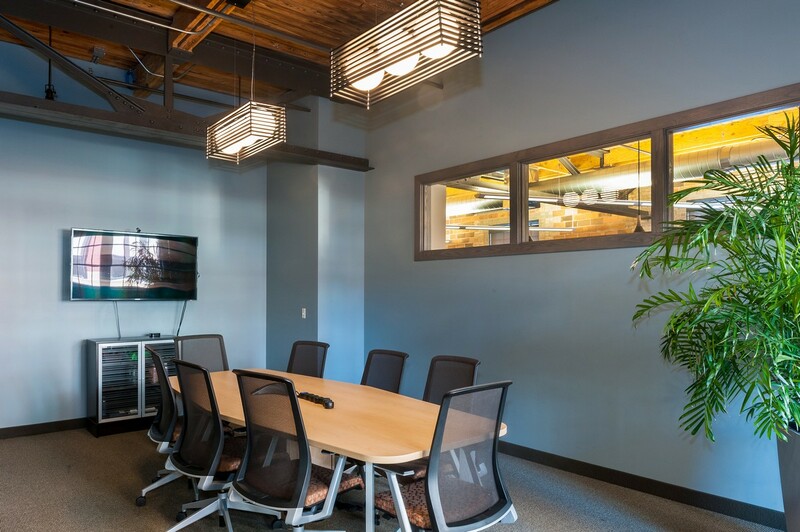 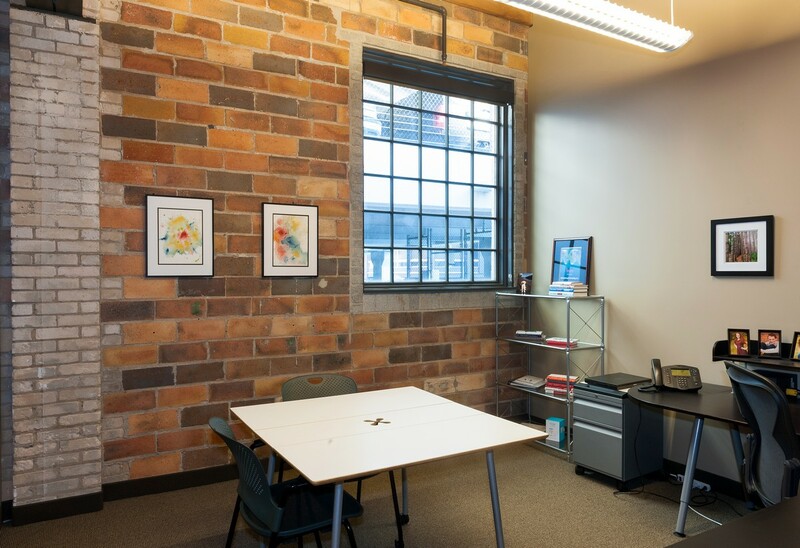 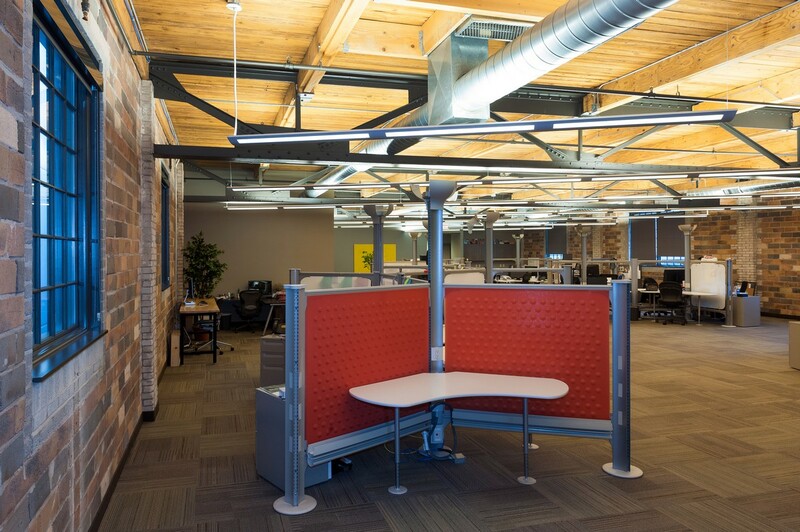 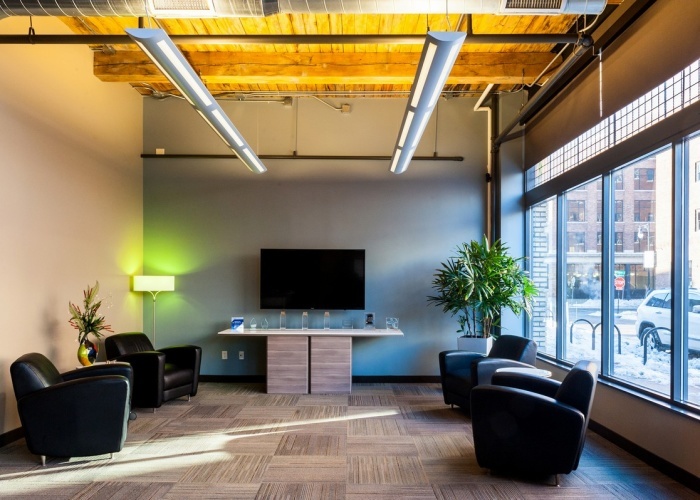 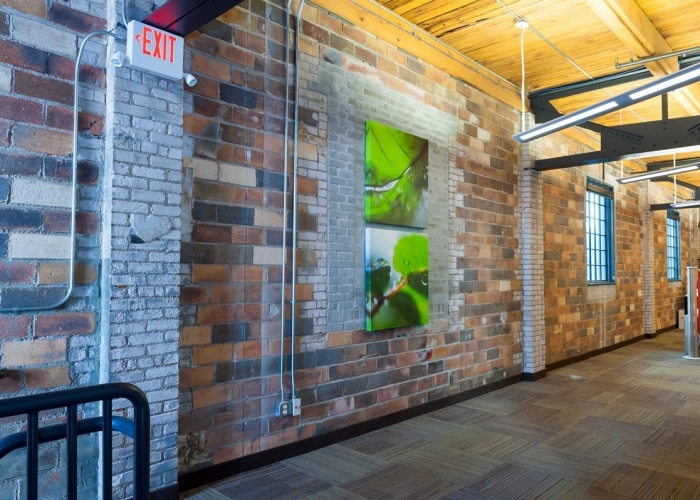 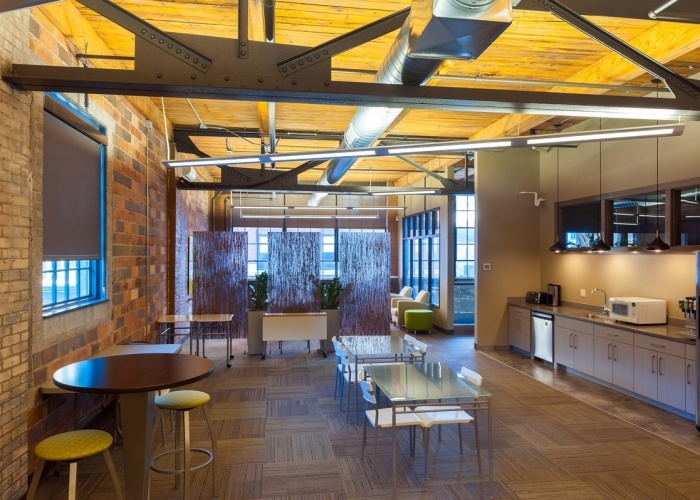 Located on Commerce Avenue in the Grand Rapids historical district, Springthrough hired First Companies to complete a three month renovation of their office in 2012. 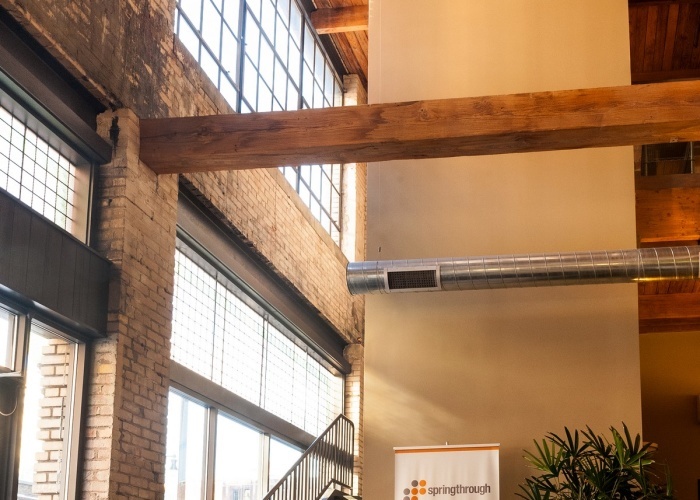 Springthrough was a growing IT company with the goal of bringing all areas of their company together under one roof in the heart of Grand Rapids. The 11,900 square foot building was formerly a multi-tenant office with three tenants. 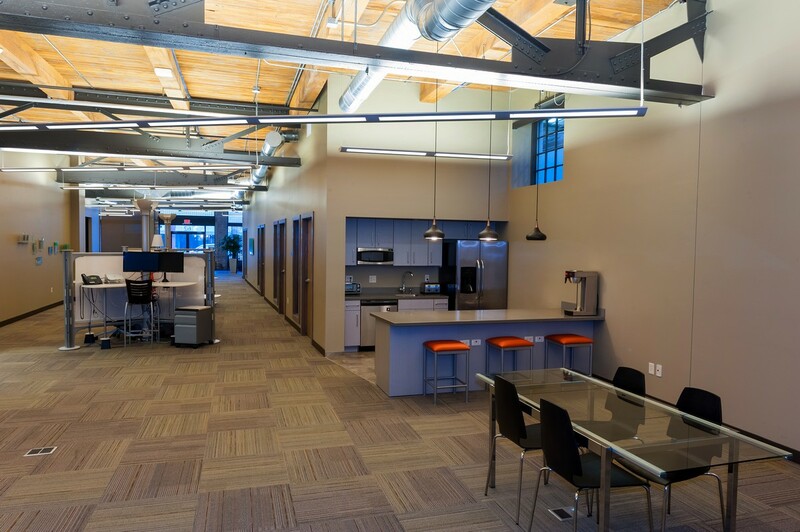 First Companies completed the demolition of the interior to create the new office space. 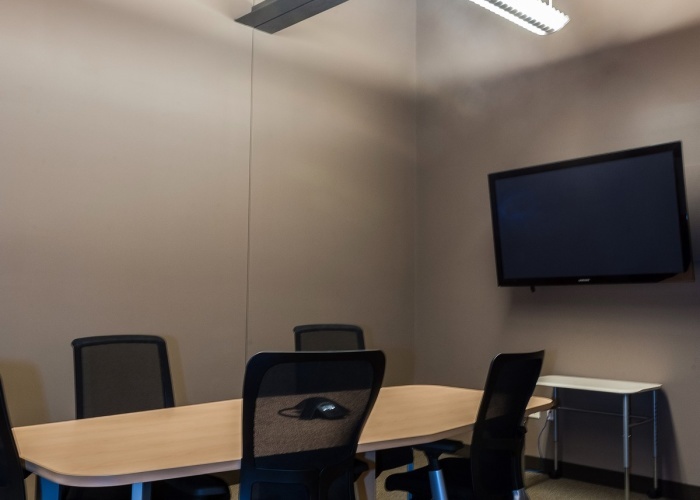 The project included new restrooms on two floors, multiple large and small conference rooms for client meetings, and an open format brainstorming area. 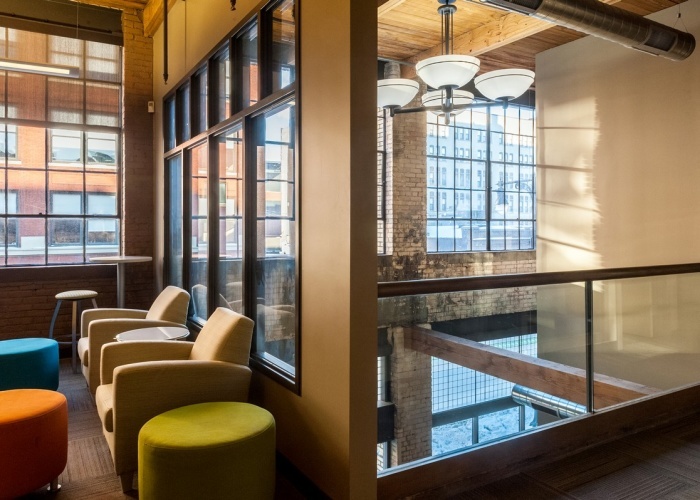 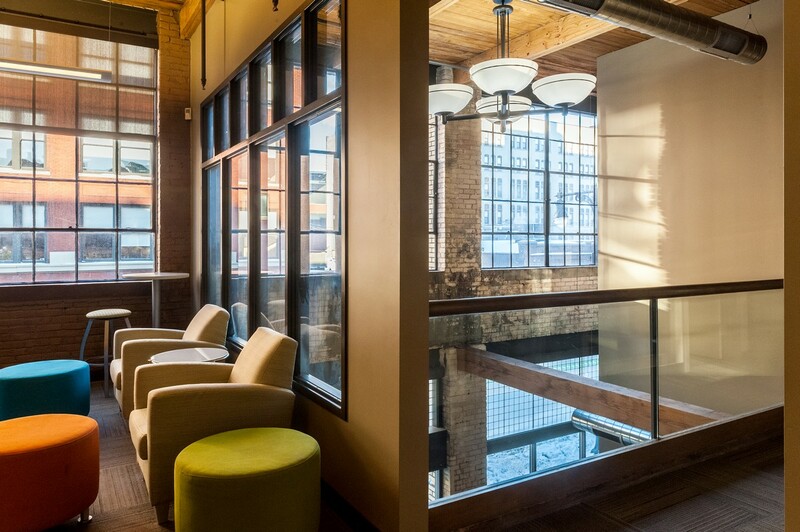 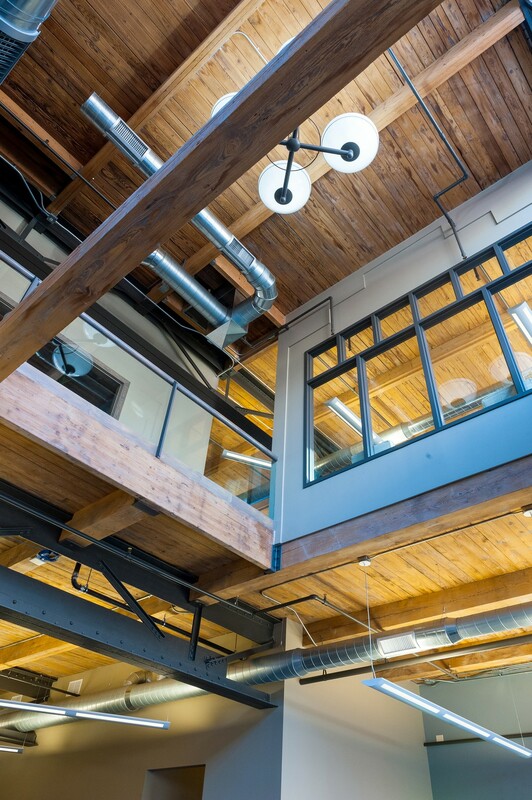 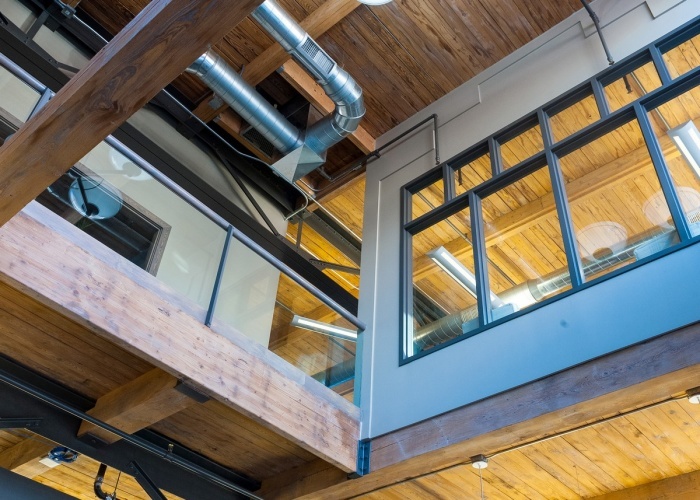 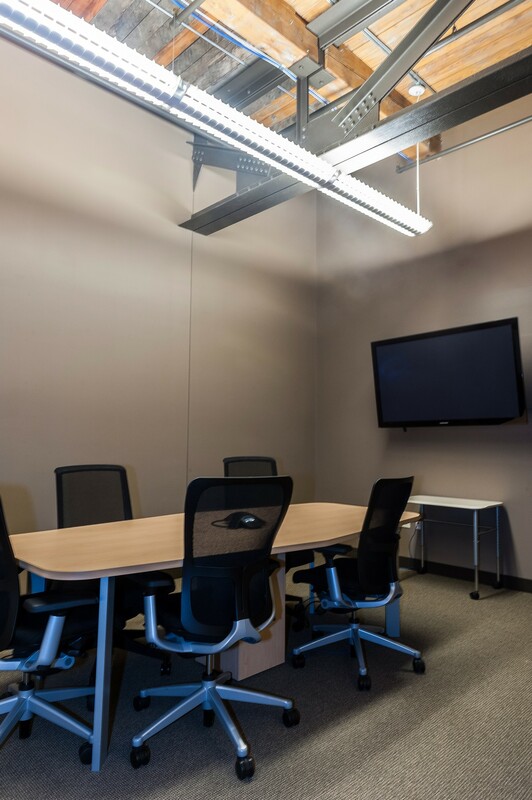 The company wanted to keep the existing masonry brick and exposed timber to reflect the building’s history and added galvanized spiral ductwork and exposed conduits for the “urban loft” office look. The new facility also includes private offices and kitchenettes on both floors, with an open floor plan and modular furnishings giving them flexibility in layout and office configuration. 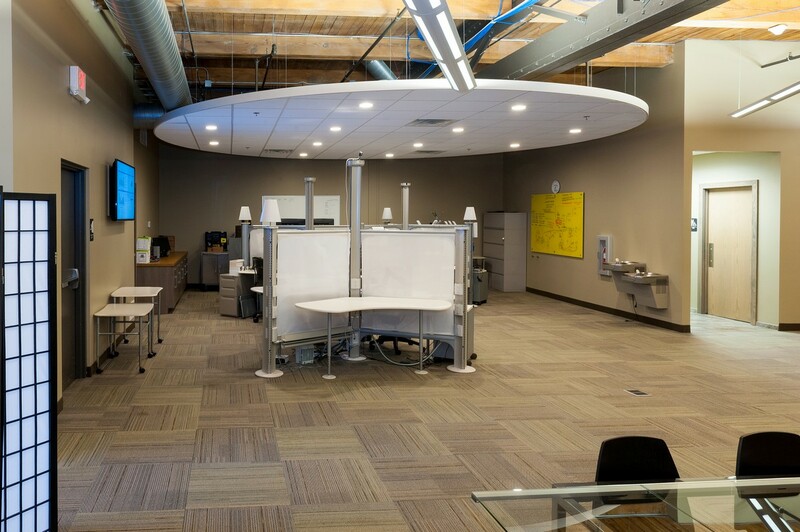 The floating cloud acoustical ceilings were incorporated above the call center to reduce noise.